Categories: angry pear, Not Pear, pear people | Tags: angry, angry pear, anthropomorphic, cartoon, comic, cute, cute and angry, humor, illustration, puff | Permalink. 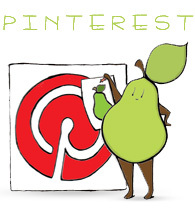 Categories: angry pear, pear people | Tags: angry, angry pear, anthropomorphic, comic, design, fruit, humor, illustration, mood, mood board, textile design | Permalink. 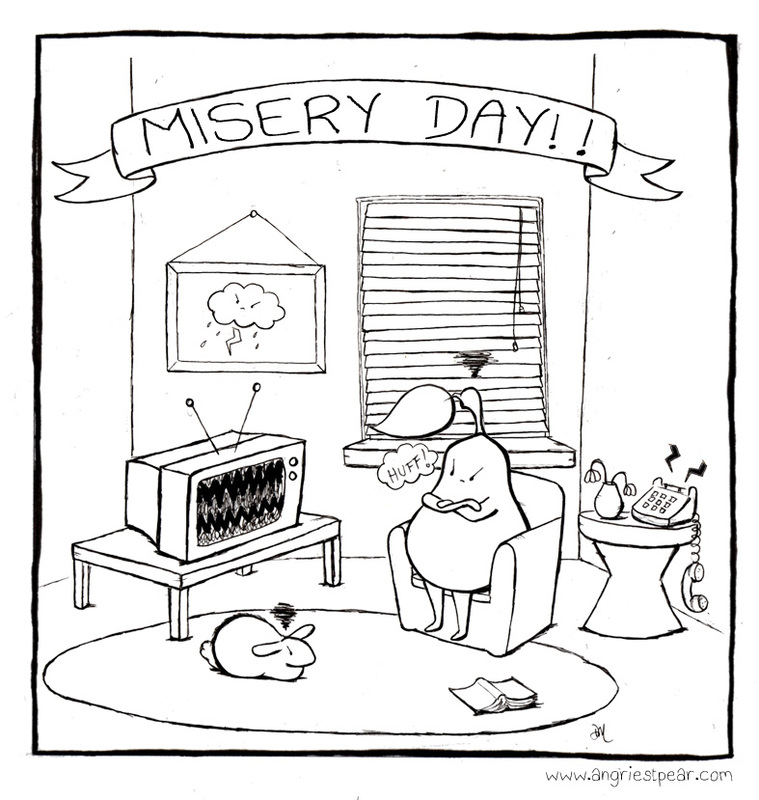 I just wanted to make it clear that Misery Day can be enjoyed with others! 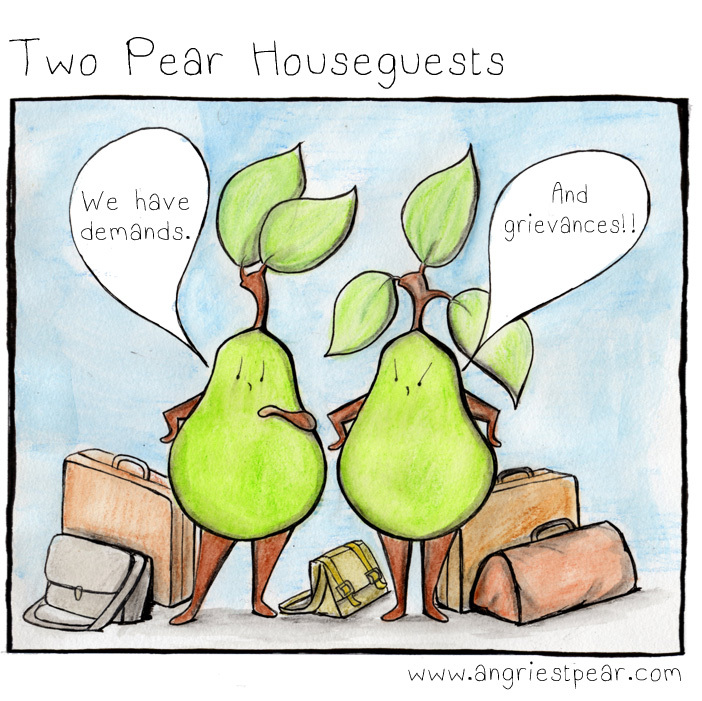 Categories: angry pear, pear people | Tags: angry, angry pear, annoyed, anthropomorphic, comic, cute, fruit, humor, illustration, miserable, misery, Pear | Permalink. 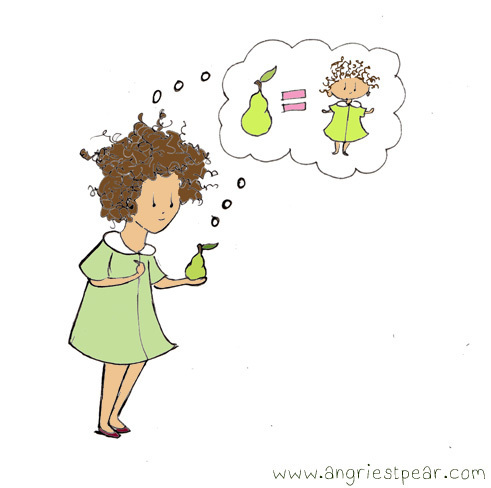 Categories: pear people | Tags: anthropomorphic, balloon, cartoon, comic, cute, drawing, fruit, humor, illustration, Pear | Permalink. 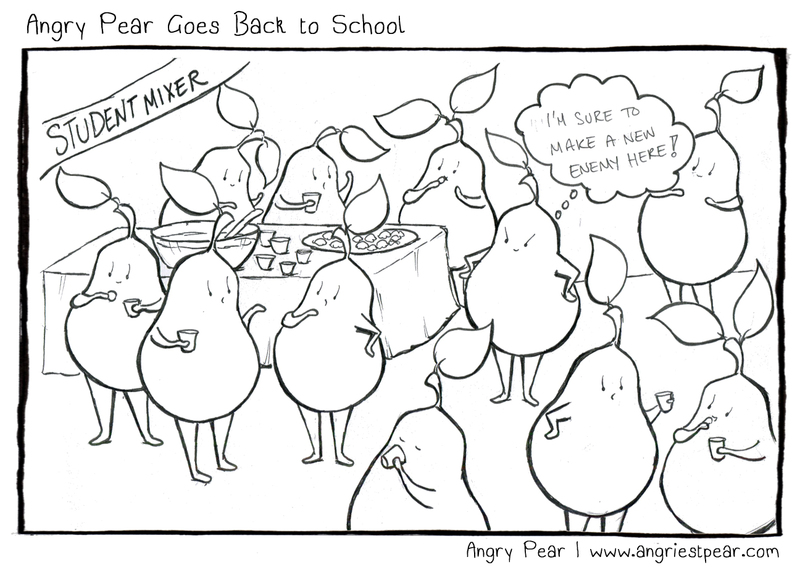 Categories: pear people | Tags: angry pear, anthropomorphic, back to school, comic, enemy, food, frenimies, funny, student life, student mixer | Permalink. He’s not as sweet as he looks! 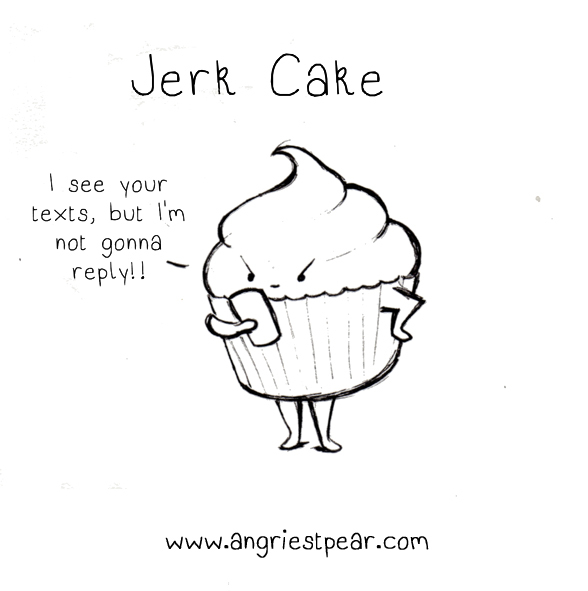 Categories: pear people | Tags: angry, anthropomorphic, cake, comic, cupcake, food, funny, illustration, jerk, responding to texts | Permalink. Hello! 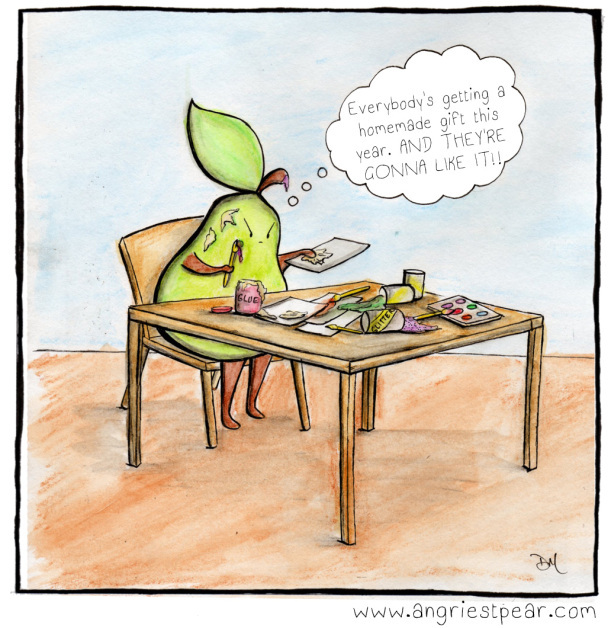 I haven’t posting for a while (a long while) mostly because so many changes have been happening outside of the pear world. 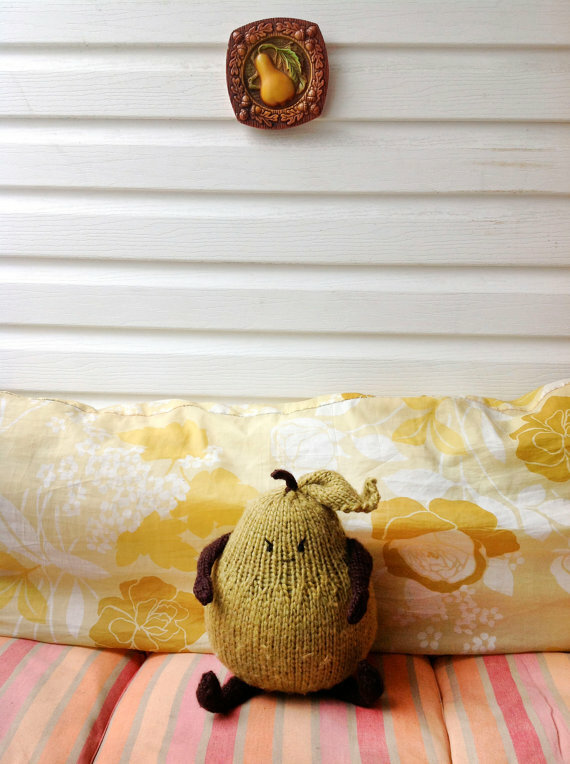 I moved in the summer, then moved AGAIN in the fall to start grad school for Textile Design (specializing in knit). 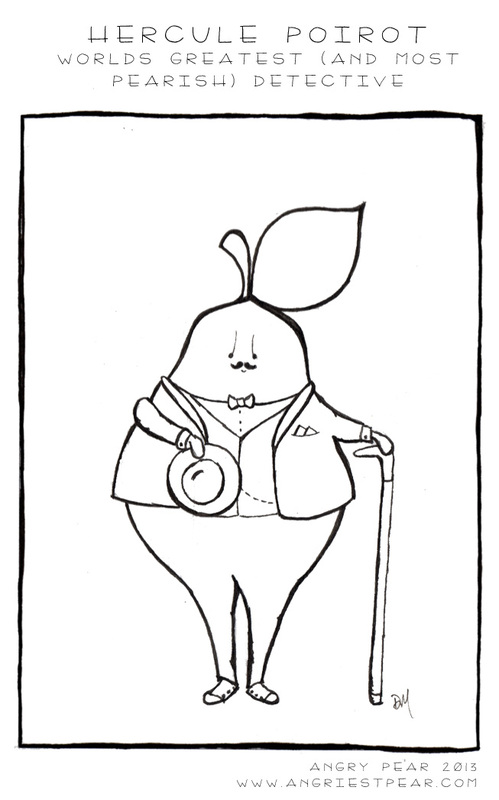 So far the semester has been good, and now that I finally feel a bit settled, I decided to start drawing pears again! Hopefully I’ll post them regularly. I’ll probably also post some of my school projects too! 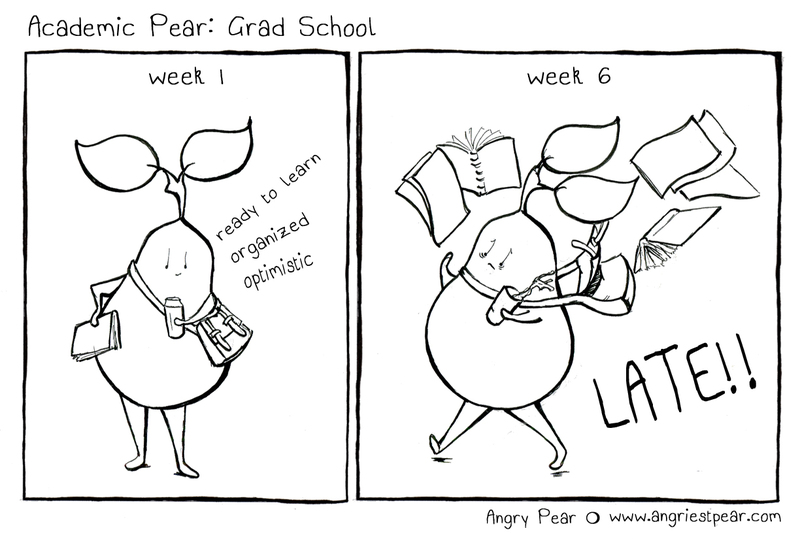 Categories: pear people | Tags: angry pear, anthropomorphic, comic, cute, flustered, fruit, grad school, illustration, running late, student | Permalink. 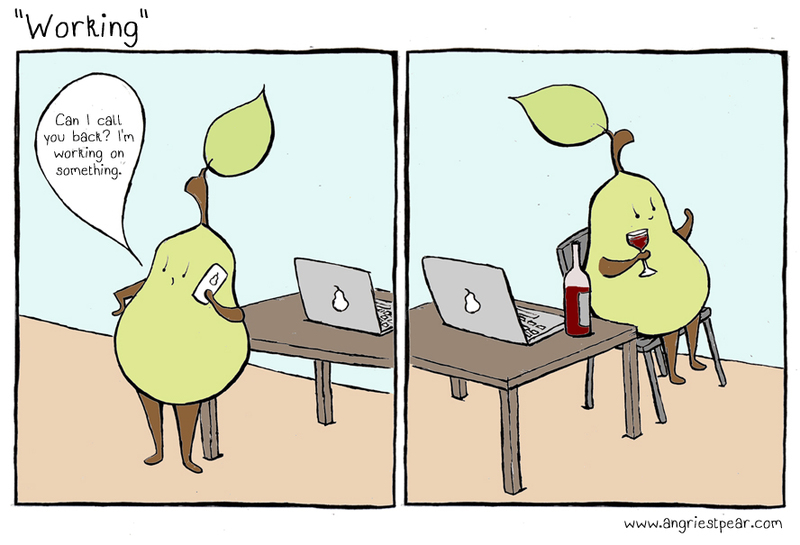 Categories: pear people | Tags: anthropomorphic, cartoon, comic, drinks, food, fruit, humor, illustration, Pear, wine, working | Permalink. 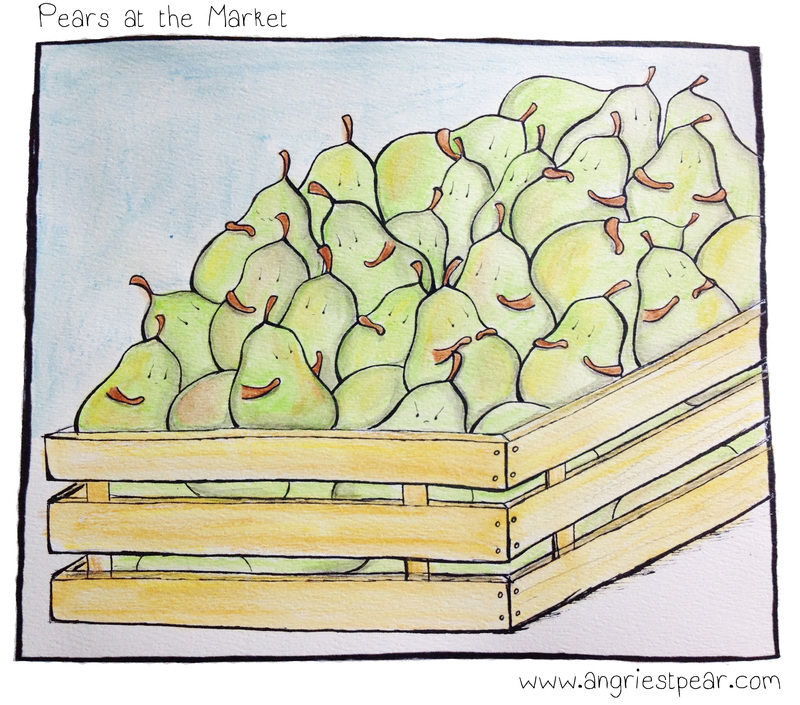 I feel like these pears when I go to the market on the weekend. So crowded! 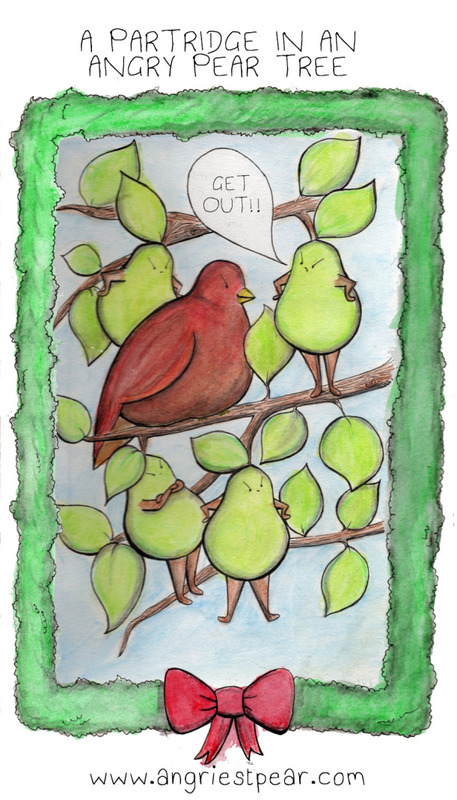 Categories: pear people | Tags: angry pear, anthropomorphic, comic, crowded, cute, food, fresh fruit, fruit, humor, illustration, market | Permalink. 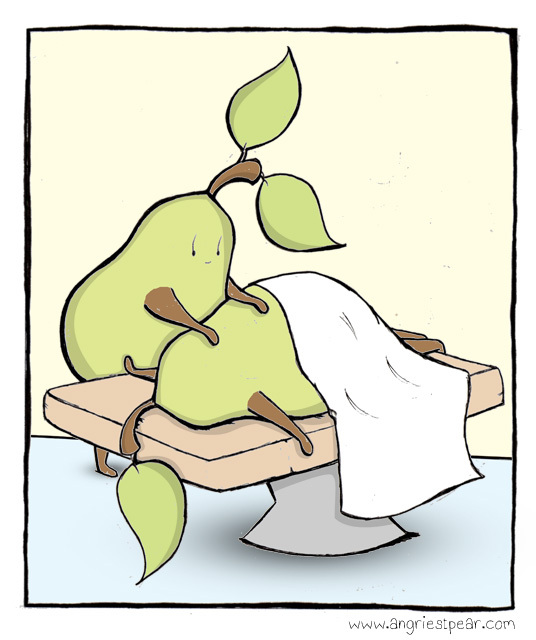 Categories: pear people | Tags: anthropomorphic, comic, food, fruit, humor, illustration, massage, Pear, Pear people, relax | Permalink. 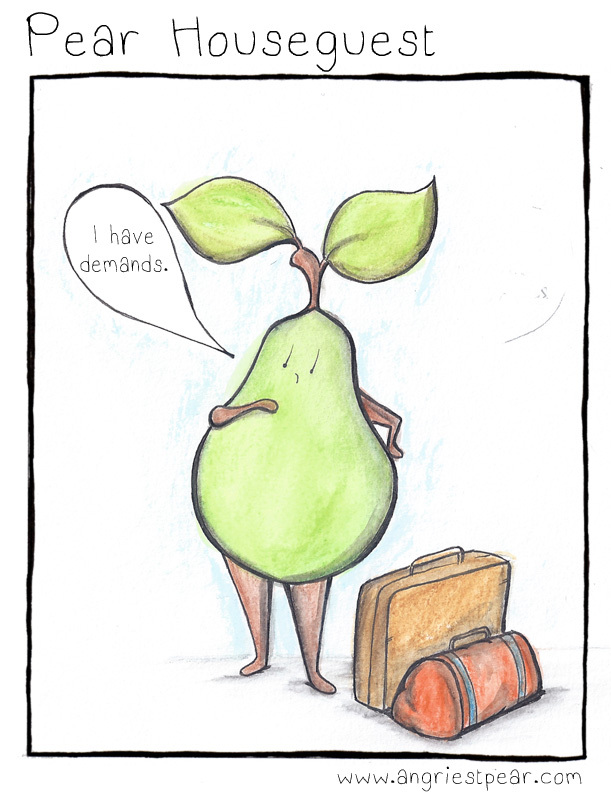 Categories: angry pear, Not Pear, pear people | Tags: anthropomorphic, cartoon, comic, cute, fruit, humor, illustration, Pear, pear person, self-portrait | Permalink. 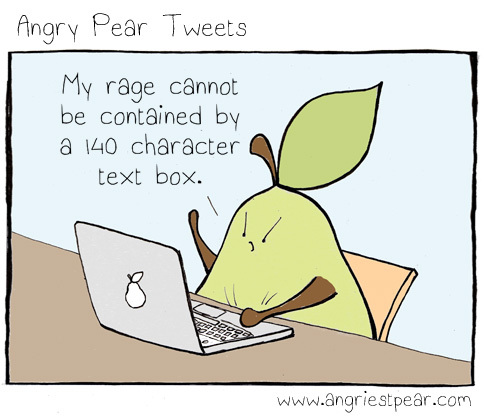 Categories: angry pear | Tags: anger, anthropomorphic, comic, food, fruit, humor, illustration, Pear, rage, restaurant | Permalink. Sorry I haven’t posted in a while. 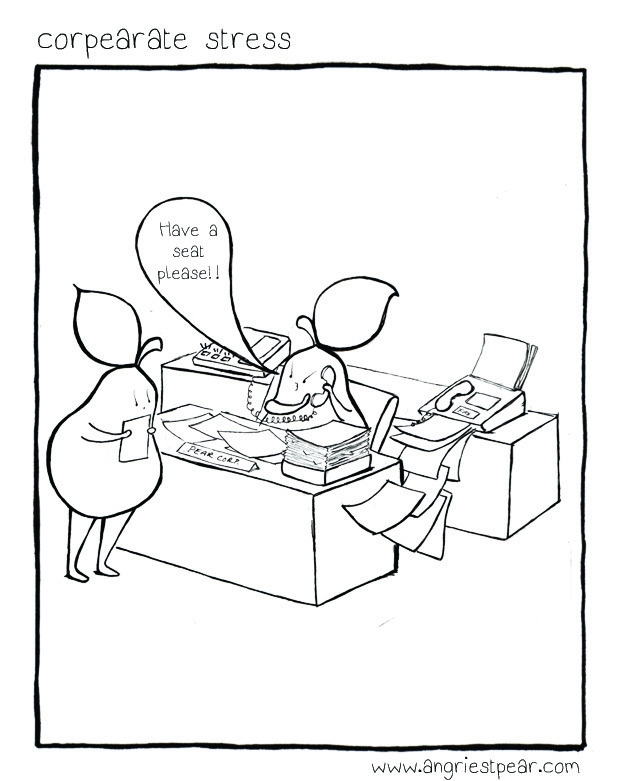 I was working on a holiday comic for this year, but I haven’t finished it in time. 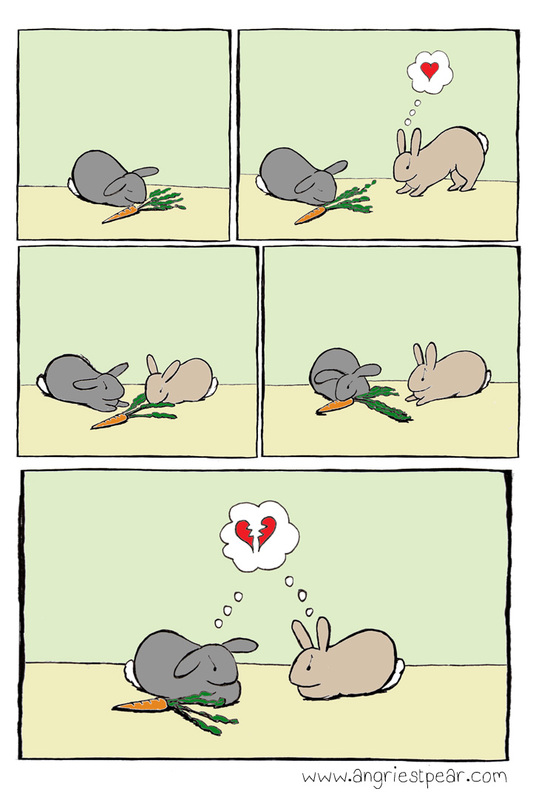 So instead, I’m just going to post some of my favorite comics from past years. (Hope you don’t mind). Merry Christmas everyone! 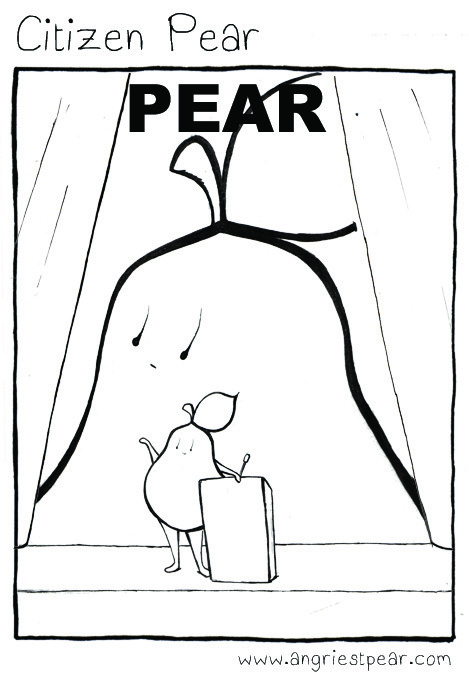 Thank you all for reading my little comic about a grumpy pear. I hope you all have a pleasant holiday! Categories: angry pear, pear people | Tags: angry pear, annoyed, christmas, comic, cute, drawings, fruit, funny, holidays, humor, illustration, Pear | Permalink. 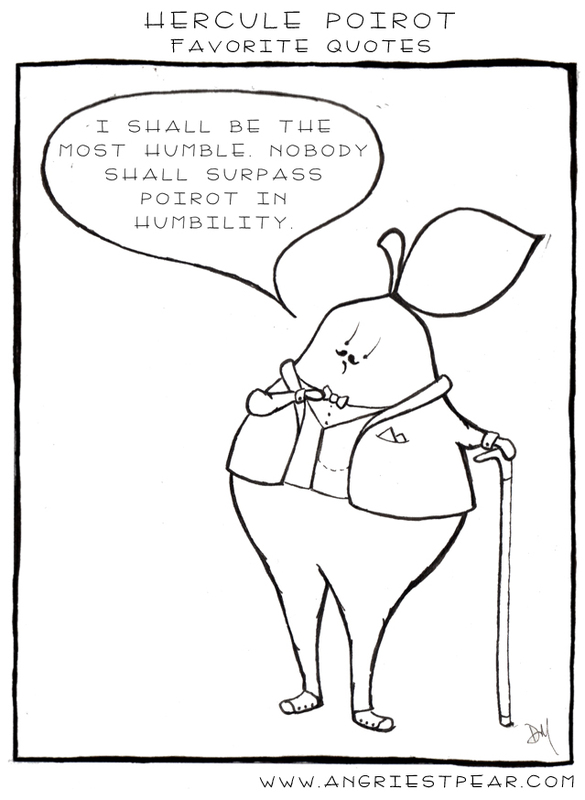 Poirot is one of my favorite characters. 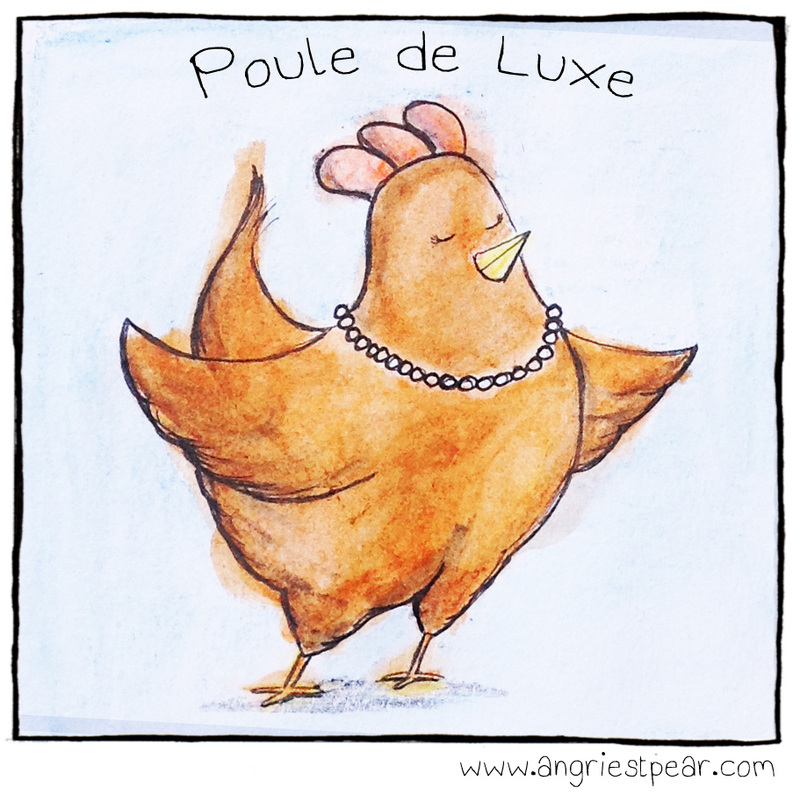 His attitude is very pearish to me (not just his name)! 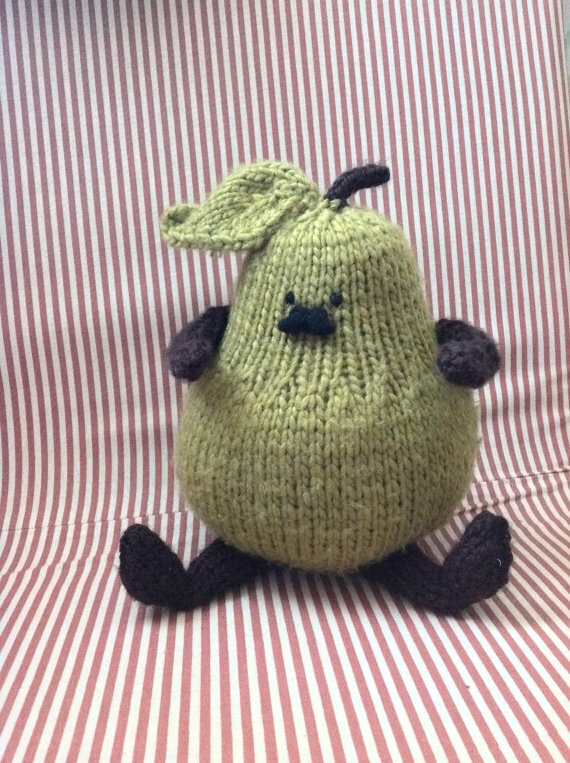 If you like the knit pears, I have two angry ones in my Etsy shop that will only be available until December 1st. Here’s the link! 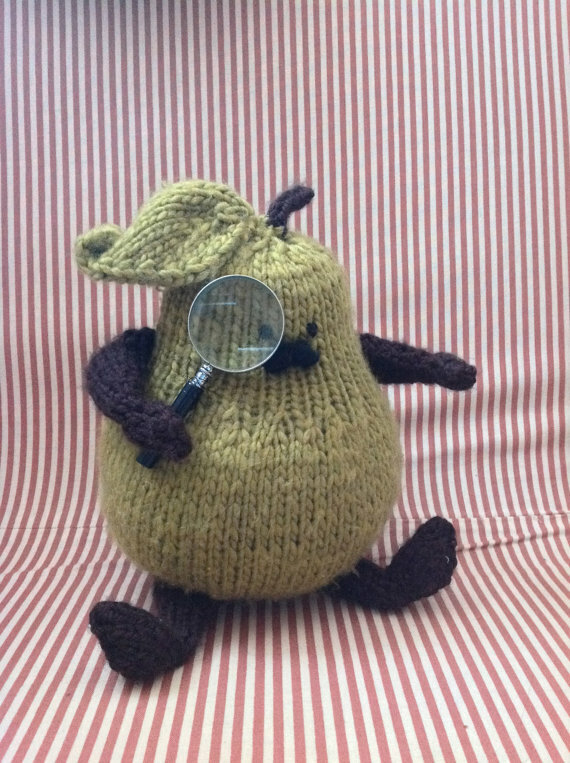 Categories: angry pear, Fictional Pears, pear people | Tags: angry pear, anthropomorphic, comic, cute, drawing, fruit, Hercule Poirot, humor, illustration, knitting, Pear | Permalink. 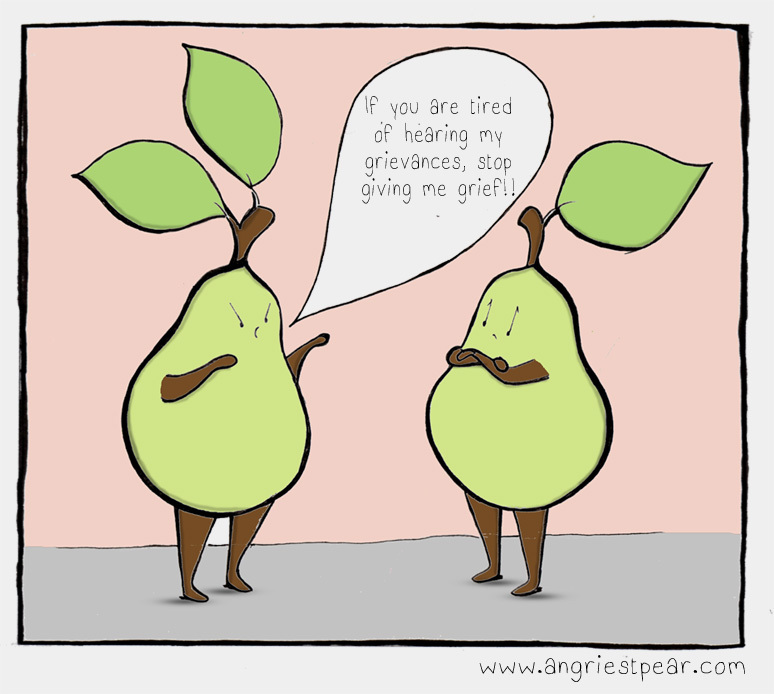 Categories: angry pear | Tags: angry, annoyed, anthropomorphic, comic, complaints, cute, food, fruit, humor, illustration, party, Pear | Permalink. 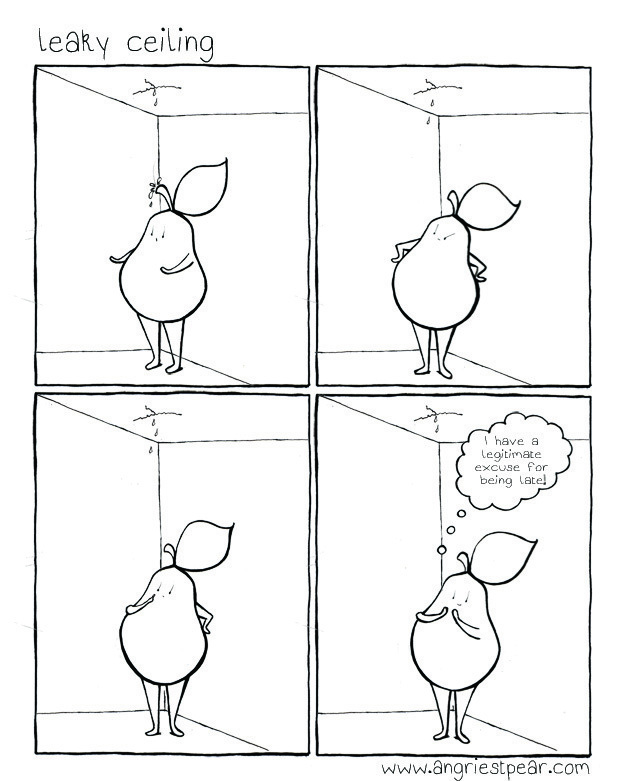 Categories: angry pear | Tags: angry pear, anthropomorphic, comic, food, fruit, humor, illustration, misery, Pear, pear person, rabbt | Permalink. 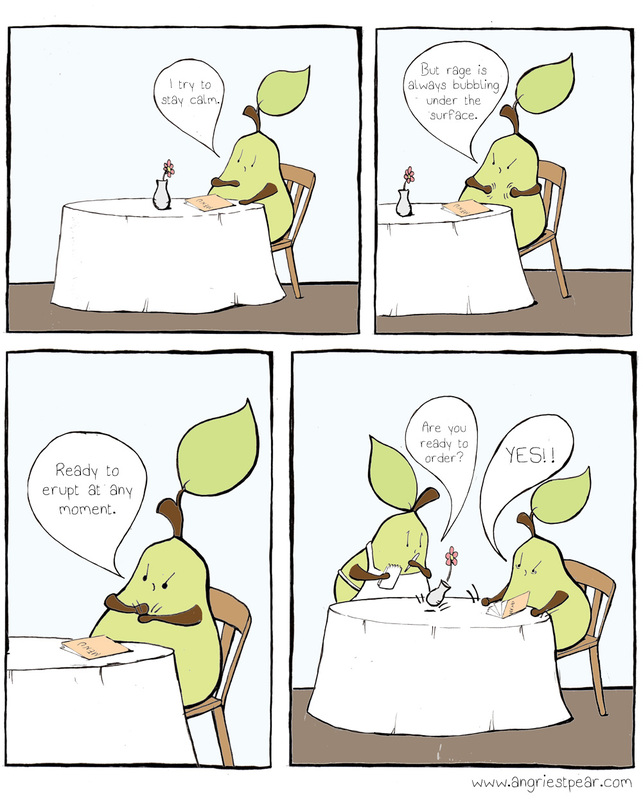 Categories: angry pear | Tags: annoyed, anthropomorphic, cartoon, cleaning, comic, cute, food, fruit, funny, humor, illustration, kitchen, messy, Pear | Permalink. 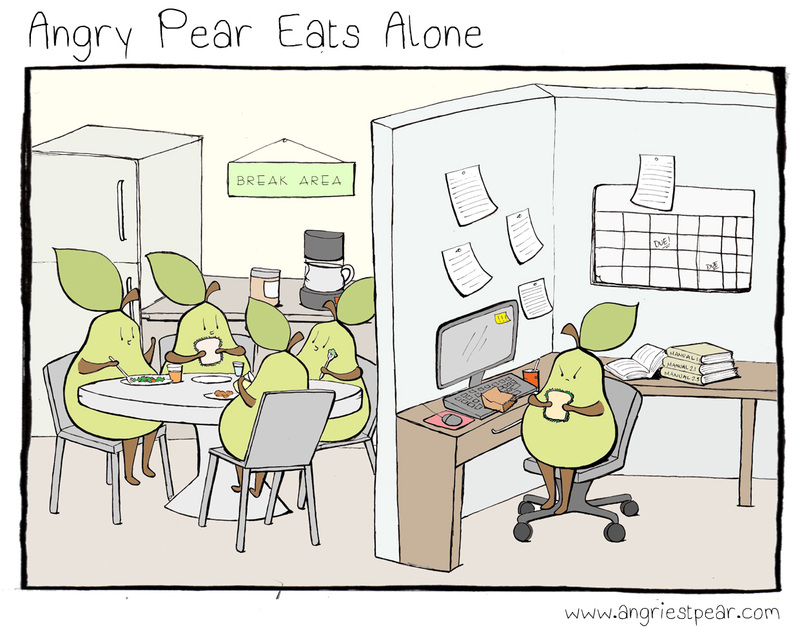 Categories: angry pear | Tags: angry pear, annoyed, anthropomorphic, cafeteria, comic, eating alone, food, fruit, funny, humor, illustration, lunch, office, work | Permalink. 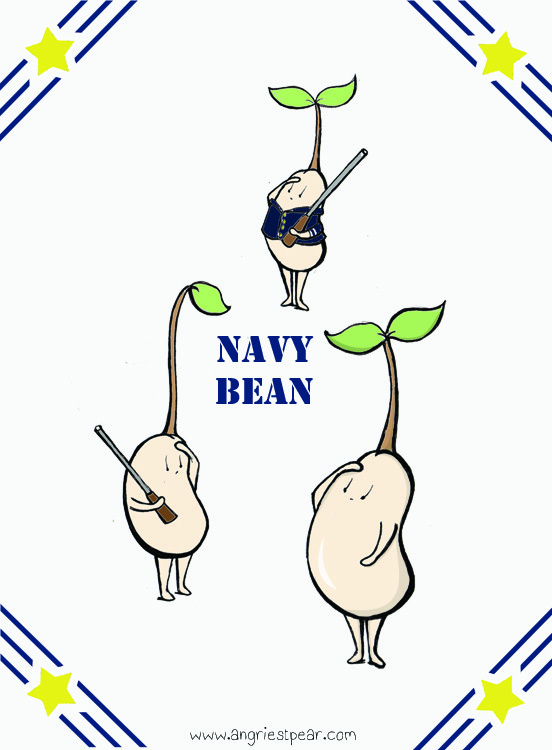 Categories: Not Pear | Tags: anthropomorphic, bean, cartoon, comic, drawing, humor, illustration, navy, navy bean, pun, the navy | Permalink. Sorry I haven’t been posting these past few weeks. 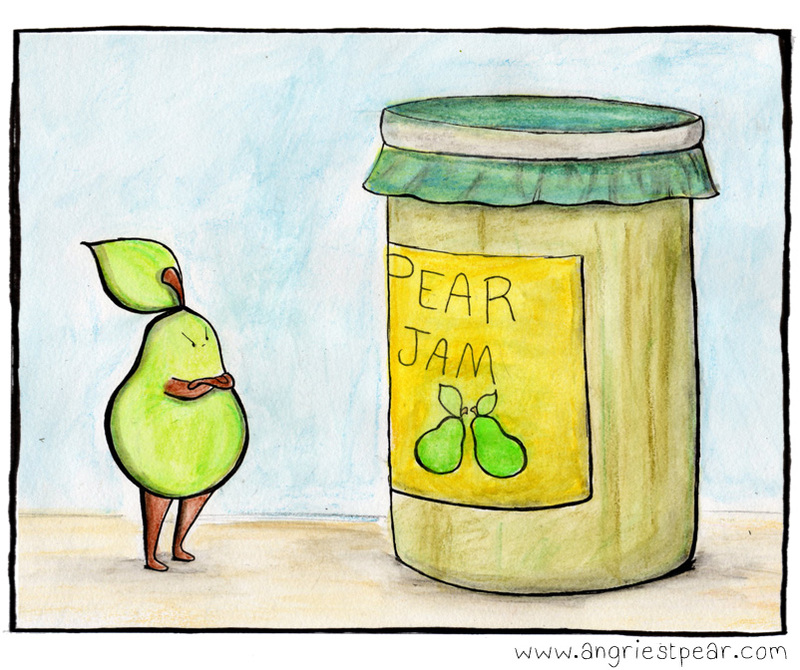 Pears have taken a back seat to everything else going on lately. 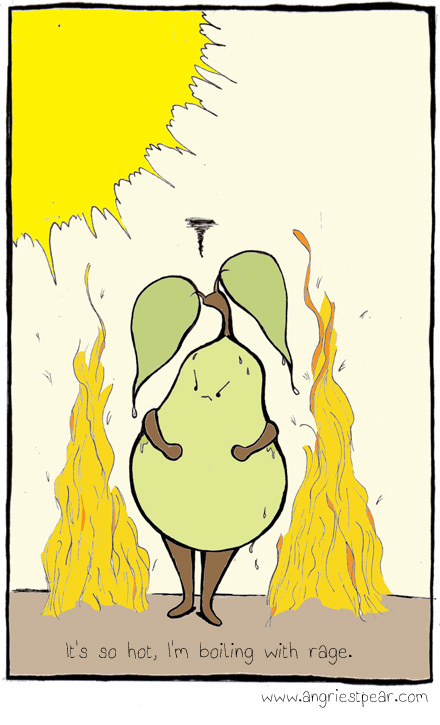 Categories: angry pear | Tags: angry pear, anthropomorphic, boiling with rage, comic, drawing, fruit, heat, hot, humor, illustration, Pear, too hot | Permalink. When it’s this hot all you can do is sit and sweat and glare and be angry. 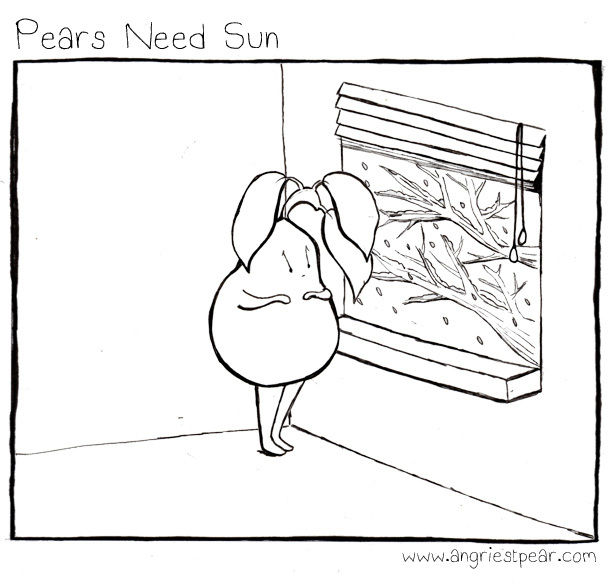 Categories: angry pear | Tags: angry pear, anthropomorphic, cartoon, comic, food, fruit, heat wave, hot, humor, illustration, Pear, sweating | Permalink. 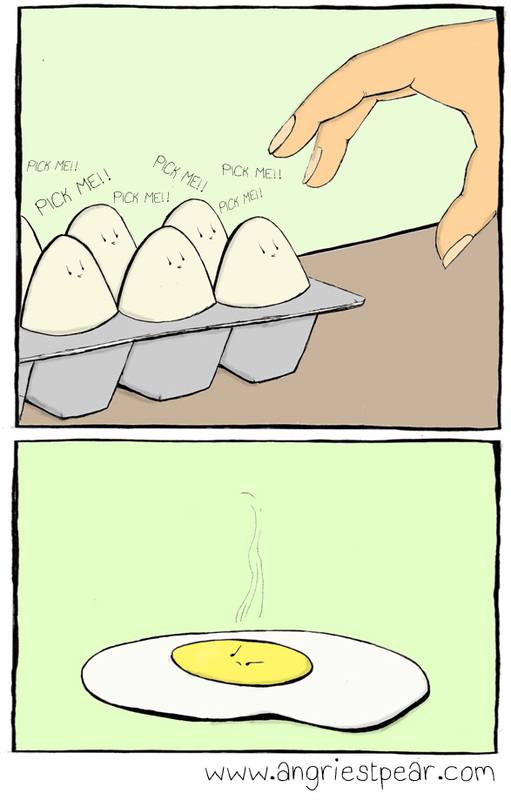 Categories: Not Pear | Tags: angry, anthropomorphic, cartoon, comic, egg, food, fried eggs, humor, illustration, unexpected | Permalink. Just in case you didn’t already know. 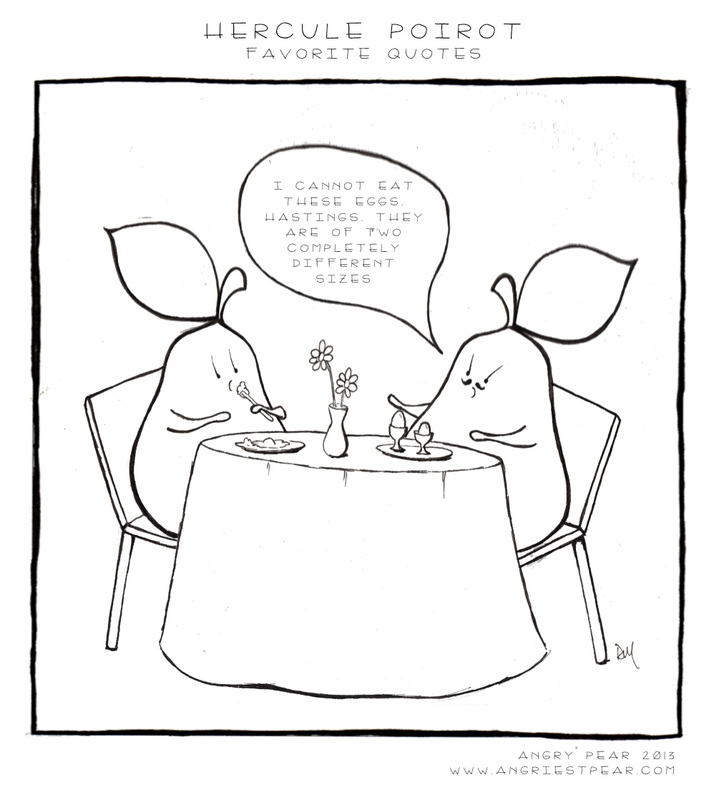 This one is also on Society 6. 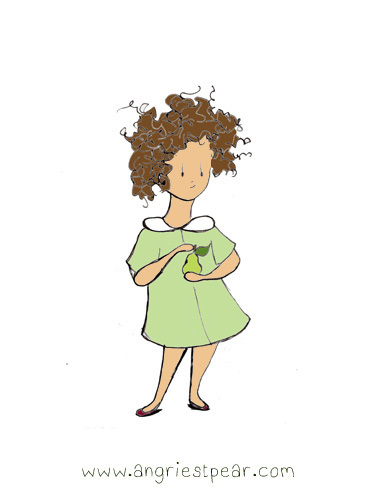 I’ve made it available as a print as well as t-shirts and baby onesies! 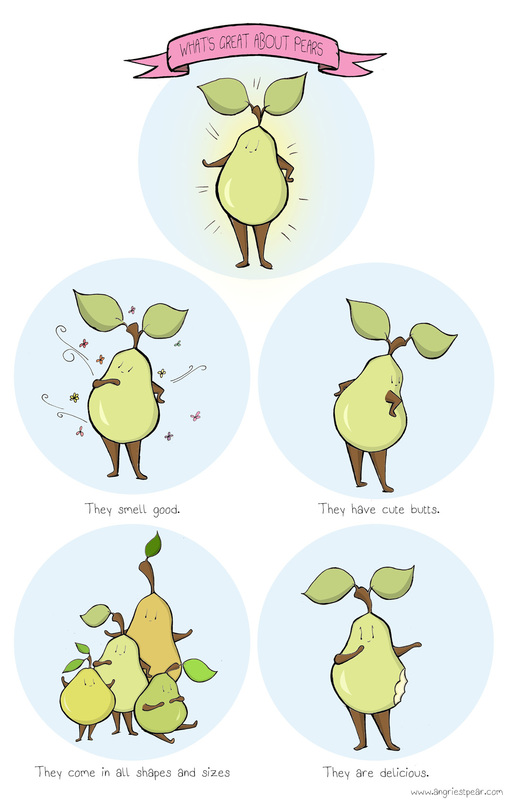 Categories: pear people | Tags: anthropomorphic, art, cartoon, comic, cute, drawing, food, fruit, humor, illustration, infographic, Pear, what's great about pears | Permalink. 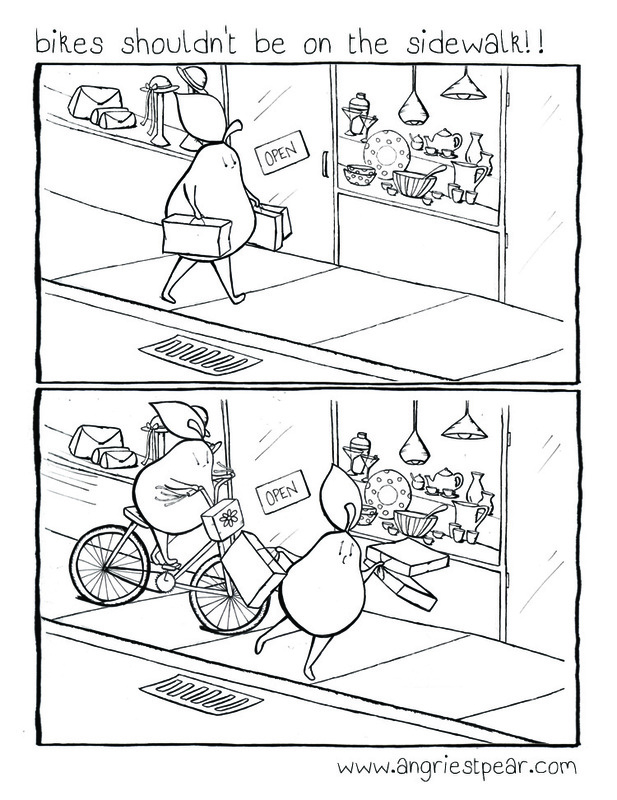 This is one of my biggest peeves about living in a city, or specifically, living in Montreal. Bikes need to get off the sidewalk! I’m tired of having to jump out of the way! Stop at red lights and stay off the sideWALK. It’s not called the sideROLL. There are bike paths! 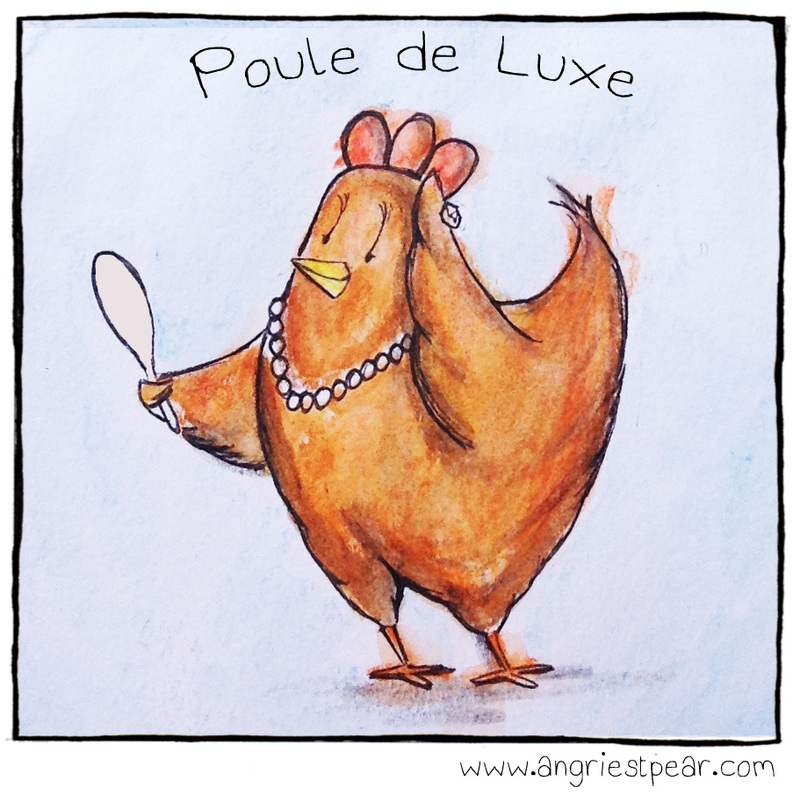 This comic is from Pearishables (available on Etsy). 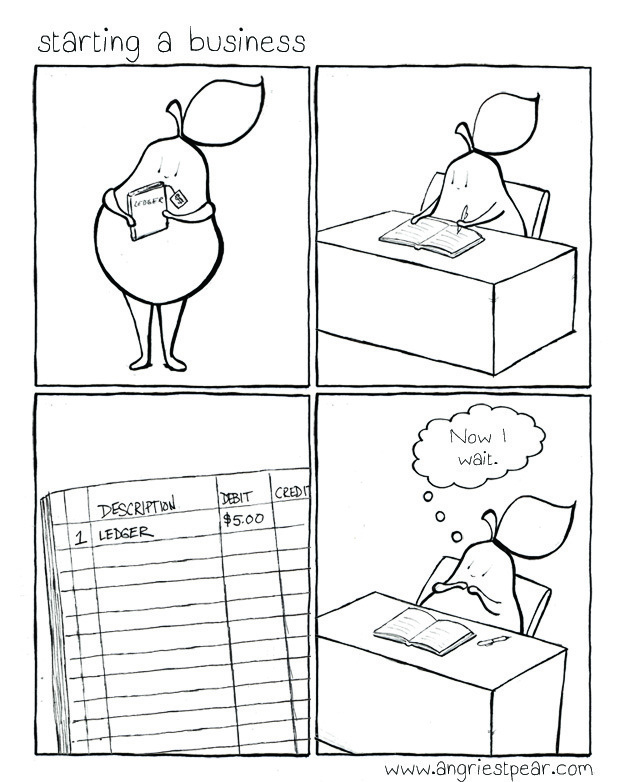 Categories: angry pear | Tags: angry, bike path, bikes, comic, comic book, fruit, humor, illustration, Montreal bikes, Pear, rude cyclists, sick of it | Permalink. 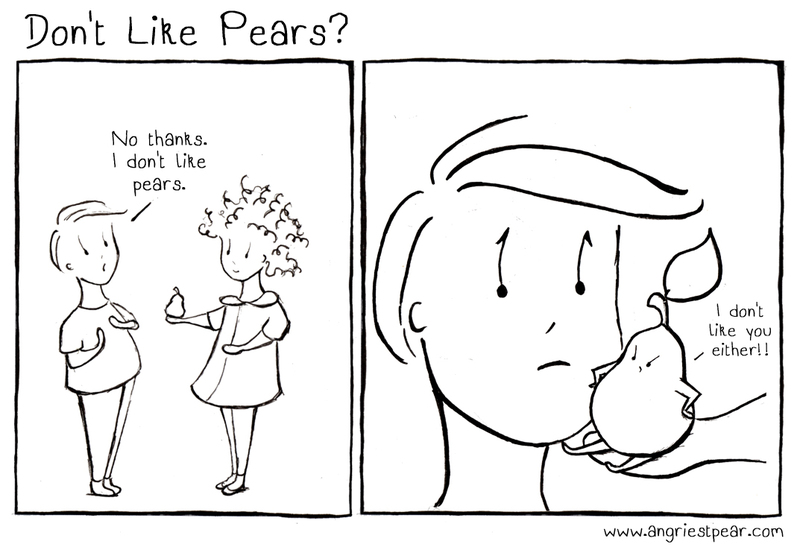 Categories: pear people | Tags: anthropomorphic, cartoon, comic, day off, food, fruit, humor, illustration, leak, work, zine | Permalink. 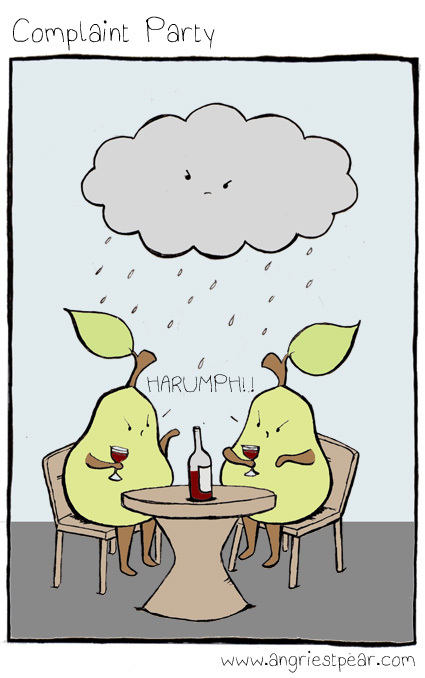 Categories: angry pear | Tags: angry pear, annoyed, cartoon, comic, food, fruit, grief, grievances, humor, illustration, pears, ultimatum | Permalink. 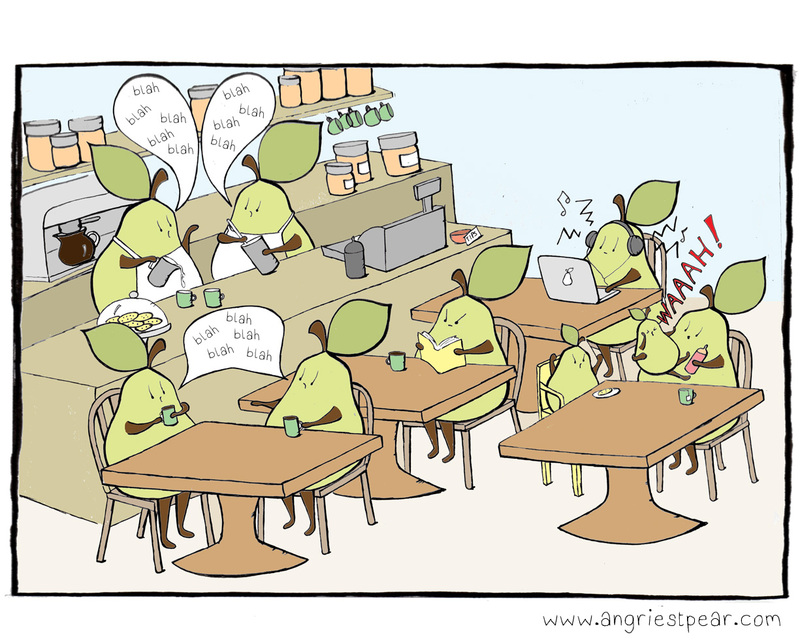 Categories: angry pear | Tags: angry pear, book, coffee shop, comic, food, fruit, illustration, loud, noisy, Pear, read, trying to read | Permalink. 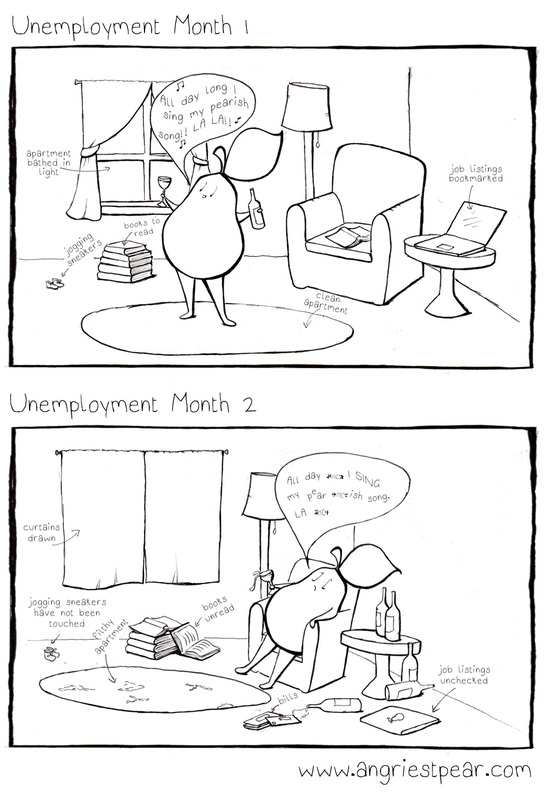 Categories: pear people | Tags: angry pear, anthropomorphic, cartoon, comic, food, fruit, humor, illustration, jobless, looking for work, unemployed | Permalink. 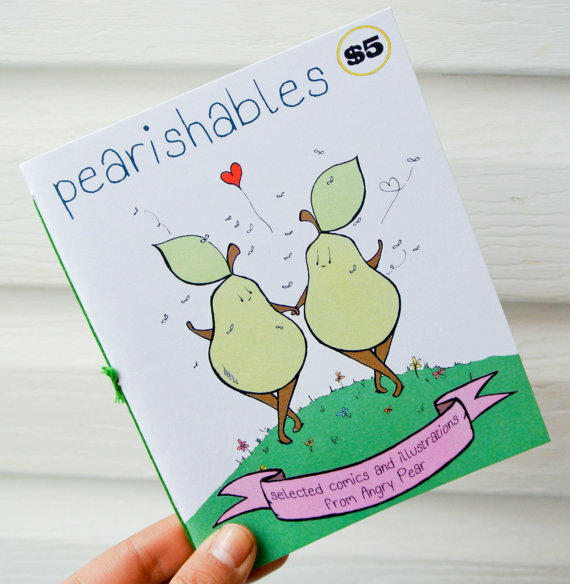 Categories: pear people | Tags: anthropomorphic, business, business supplies, cartoon, comic, food, fruit, humor, illustration, Pear, small business, starting a home business | Permalink. 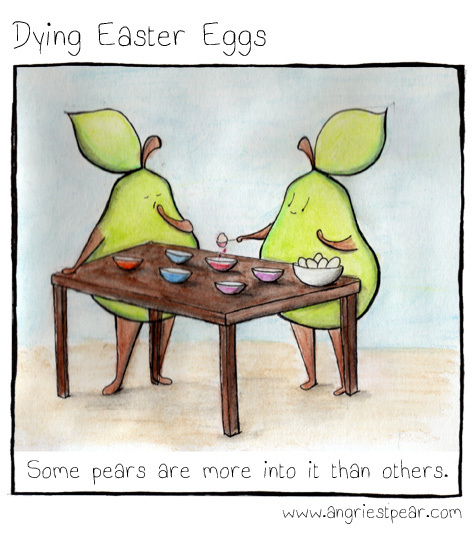 Categories: pear people | Tags: anthropomorphic, bored, cartoon, comic, cute, drawing, dying easter eggs, Easter, food, fruit, illustration, Pear | Permalink. 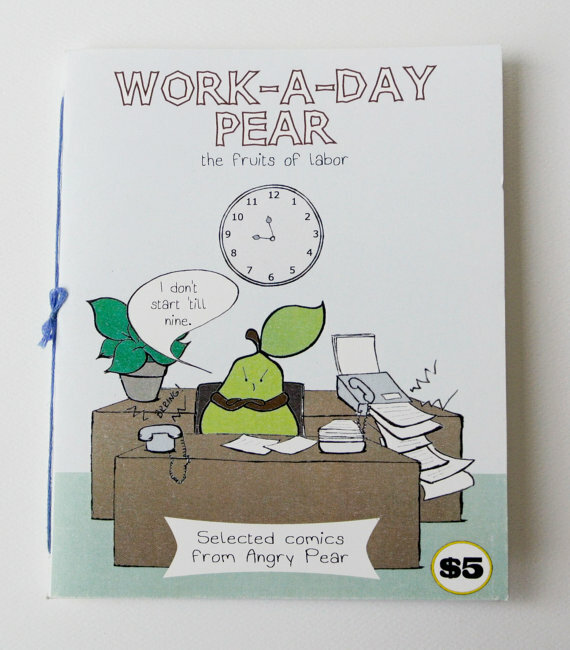 Categories: angry pear, pear people | Tags: angry pear, anthropomorphic, comic, corporate, fruit, humor, illustration, Pear, stress, work stress | Permalink. 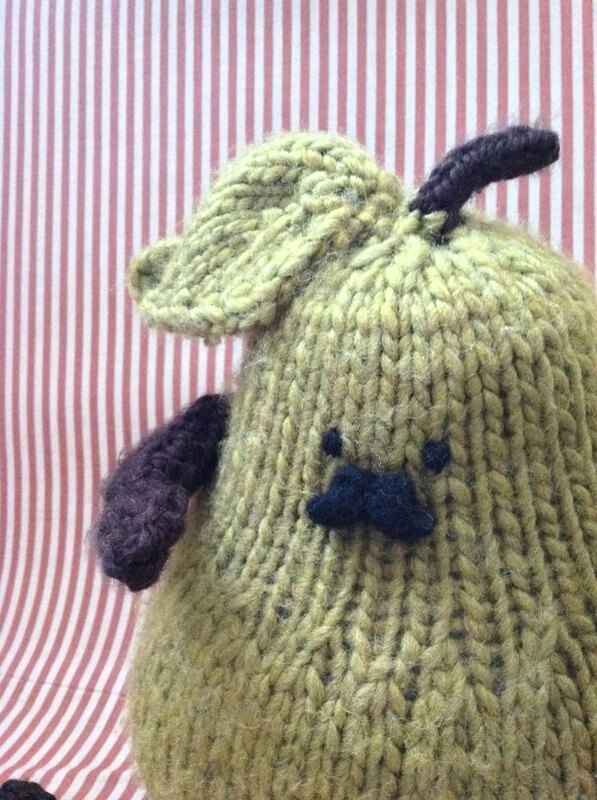 Categories: angry pear | Tags: angry pear, anthropomorphic, comic, disaster, food, fruit, humor, knitting, knitting on public transportation, Pear, stabbed with knitting needle, too loud on public transportation | Permalink. Spring seems like it will never arrive here in Montreal. Yesterday it snowed! 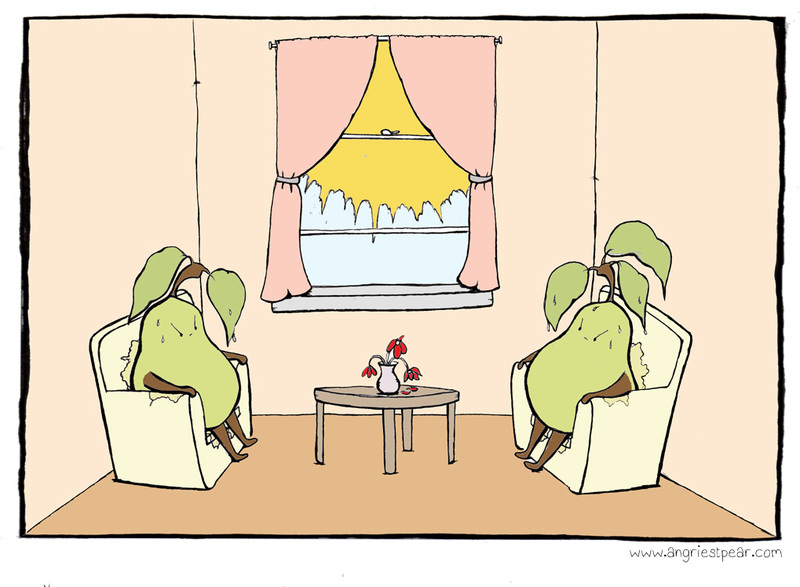 Categories: pear people | Tags: cartoon, cold, comic, forever winter, fruit, illustration, miserable, Pear, spring, sun, winter | Permalink.